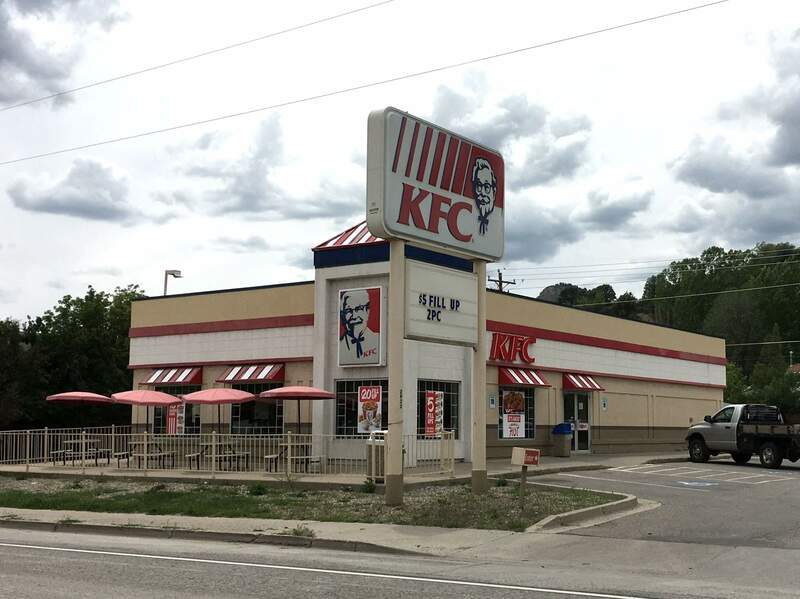 What’s in store for the old KFC location at 2933 Main Ave.? Bird’s, a new chicken restaurant, with the team behind Steamworks and El Moro at the helm. Co-owner Kris Oyler said construction on Bird’s could begin by the end of September. Courtesy of Peak Brewing Co.
Durango’s KFC closed in May 2017. Since then, residents have wondered what would occupy its space. 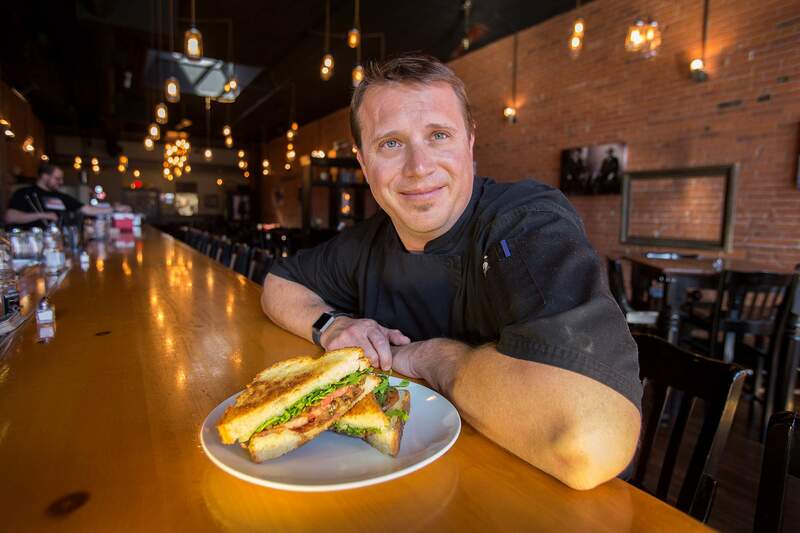 Chef Sean Clark shows off a lunch entree at El Moro Spirits and Tavern. In addition to those of El Moro and Steamworks, Clark will design the menu at Bird’s. The KFC at 2933 Main Ave. may have shuttered last summer, but the spirit of flock and fowl will live on – this time with less cholesterol. Targeted to open in the spring, Bird’s healthy fast-casual restaurant is a new concept from co-owners of Steamworks Brewing Co. and El Moro – Kris Oyler and Brian McEachron – with the restaurants’ executive chef Sean Clark creating the menu. Oyler and McEachron purchased the property in the spring knowing they wanted to create something different than the brewery and craft restaurant concepts. “We didn’t want to create another restaurant to compete with ourselves,” Oyler said. Not only is the concept different than the two Durango mainstays, the convenient location on north Main Avenue will cater to a different crowd – the nearby residents. The menu keeps locals in mind, too. It’s not surprising the star of Bird’s is poultry. The scratch menu is heavily focused on rotisserie-style chicken with a combination of healthy and comforting sides and sauces along with chicken-centric sandwiches and salads. They estimate the price of a meal will be around $12. Specific items are still being thought through, but the goal is to appeal to the entire family’s varied palates. They are playing on the versatility of the old fast-food chain building as well. They decided to keep the functional flow of the layout and the drive-thru window. Take-out is going to be a main component at Bird’s, but if the drive-thru had not already been there, they said they might not have pursued the idea of online ordering. Diners on the go will not be able to order from the window. They will instead place their orders online ahead of time. Clark said more restaurants are starting to use technology to help make operations work to their advantage and this is an example. They are hoping that in the future, the online system will also help them in other ways, such as building loyalty programs. But the main purpose of the online ordering is to cut back on wait times and cars lined up in the queue. Oyler said they hope to start construction by the end of September. Bauen Group architect Tom Umbhau, who designed the Steamworks remodel and El Moro, is designing Bird’s. While parts of the concept may change, the current exterior plan is to play on a chicken coup with oversize chicken wire and metal chicken sculptures. The outside area will be pedestrian-friendly, with places to lock up bikes. The interior of the 3,000-square-foot space has not been decided but will fit about 70 people. A 1,200-square-foot seasonal patio will allow for an additional 40 customers. “Even though it’s fast-casual, we want to create a place for people to hang out,” Oyler said, which is why the restaurant will be open from 7 a.m. to 9 p.m. and have a full bar with beer, wine and liquor. “We know how to do that really well,” McEachron said. Oyler, McEachron and Clark hope Bird’s will help bring attention to the north side of town and make the area a more viable place for business.